Weakness, lack of speed and failure of acting in a mind is called Theena. Weakness, lack of speed and failure of acting in a mental factor is called Midda. These two mental factors and combined together. If some mind has Theena there is Midda also. Those two phenomena cannot be separate each other. As the disease reduce the energy of the body and weak it, these two phenomena in a mind reduce it's ability of actioning. This is like a disease. When it occurs in the mind, body shrinks, heavy, passive and sleepy. Mind is the controller of the actions of the body. The mind with theena and midda is weak on actions. 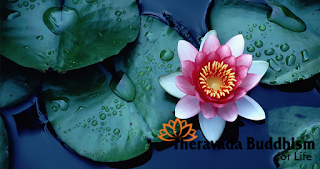 This theena-midda generates on before and after sleep in lay people. Nibbana stops this. Therefore Arhants not having this. They go for sleep in clear mind when the body get tired. In that moment their mind continuity go for Bhavanga. Sleep needs to every creature. It is hard to maintain the body without proper sleep. To a lazy person staying without work feel sleepy, laziness before sleep and after wake up is Theena-midda. Teena-midda could appear with taking over limit foods, taking slow-digesting foods, not receiving enough food. Doing some sitting works such as reading, meditation and listening sermons without liveliness cause to teena-midda. That's why some people be sleepy on such works. Teena-midda appears on five sacral sinful minds. In those it appears sometimes only. No any teena-midda in meritable mind. Person who listening to a sermon without any happy, but if a merit mind appears every time in his mind there is no way to appear teena-midda. Teena-midda is oppose to courage. But courage mental factor also appears in the minds with the teena-midda factor. But it is very weak.